This month we will force you to turn the lights off, this month SMSC topic is Midnight Tunnel. Show us a tunnel that looks splendid when the night comes, it can be as much tunnels you want and the type you want. It just have to be a tunnel and at night. Nord-Süd Tunnel is a section of the Berlin S-Bahn under the city centre. It was finally built in 1939 to provide an S-Bahn connection between suburban lines. On the picture you can see southerly tunnel entrances with S-bahn trains, U-bahn train on overpass and part of the North–South main line used by intercity and regional trains. As part of the Anglo-French relations celebrations, SNCF ran a TGV Thalys through the Channel Tunnel. This created scenario (not real game) is a industrial town in a mountain landscape. A railway and a highway cross the river and the mountain using bridges and tunnels. 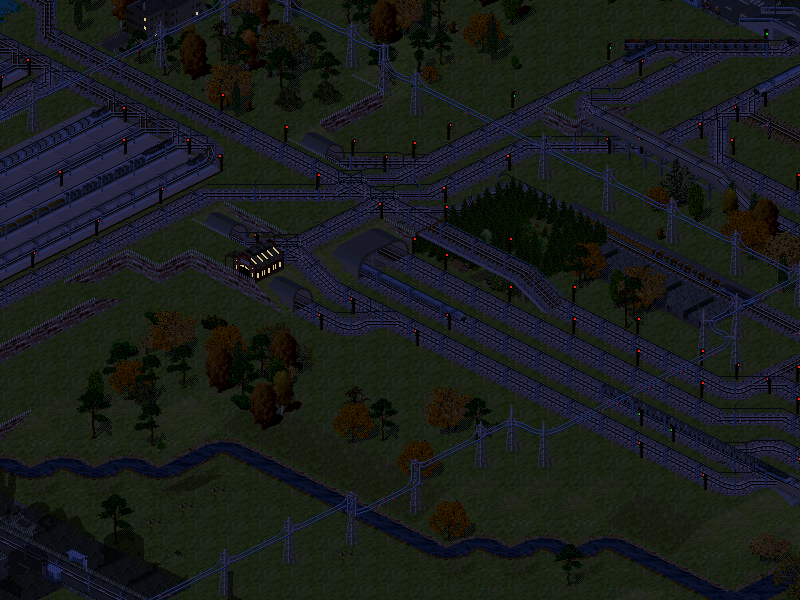 Also, the urban roads go under the rail tracks. I tried to show an industrial landscape, as I have seen travelling by Guipuzcoa at night. The main line here goes under Thouars' Steel Mill, which is responsible for half of rail traffic on the network. Congestion is frequent here due to the numerous coal, ore and steel trains, however the tunnel provides an express route for high-speed passenger trains. Real game, Pak64 + Packer's PakUS. So, do you agree when to upload your pics? It's the third time everybody uploads in the same day. I'm temporary come back at this month to contribute to this challenge. 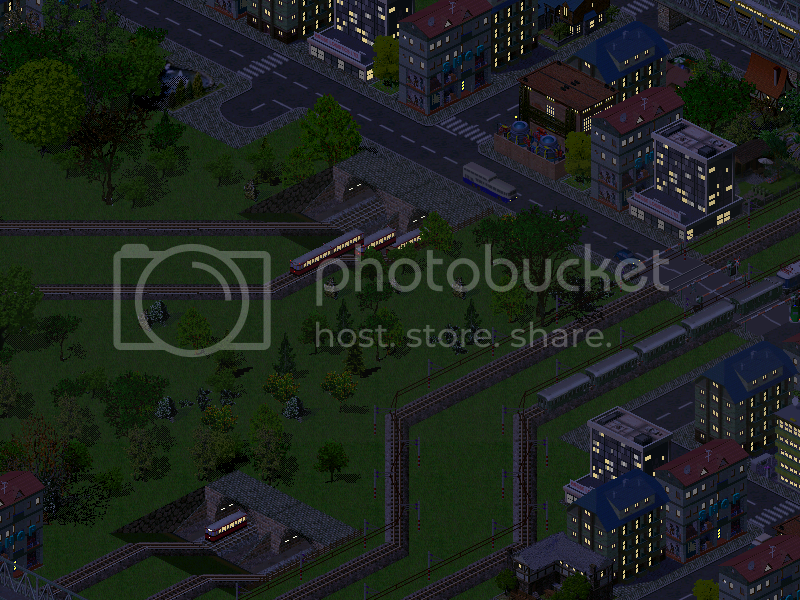 The city of Vienne) is fast growing. To fluidify the traffic, a tunnel was built under the new big passengers station to allow the passage of fret transit trains. mEGa, it appears like your link is broken. Thank you Fabio for your feedback. it´s not ok! I can not view your photo! I modified link again . Does it run now ? The Station looks very good out mega.